Designed for a fully optimized women’s fit the Stella Bogota V2 Pant incorporates Alpinestars exclusive DRYSTAR® membrane for 100% waterproofing. 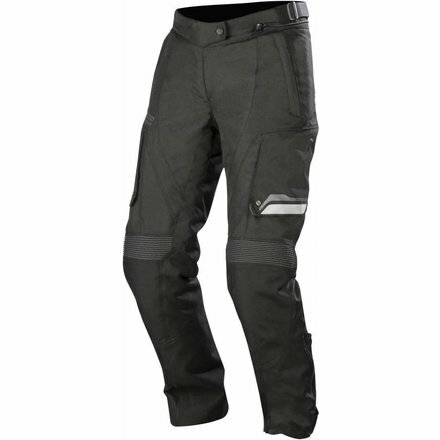 With added CE-certified protection in strategic areas and strategically positioned air vents these pants can adapt to all weather conditions and are fully compatible with the Stella Bogota DRYSTAR® Jacket and other Alpinestars jackets. Anatomically shaped for female-specific fit. 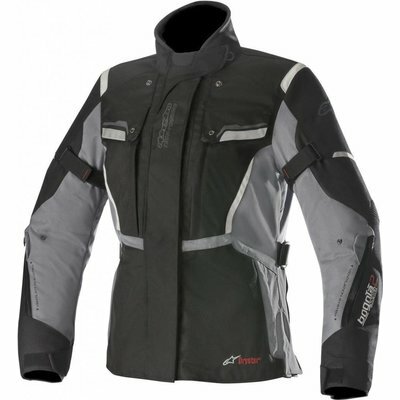 Advanced, reinforced poly-fabric textile construction incorporating Alpinestars exclusive DRYSTAR® fixed membrane for excellent all weather performance. 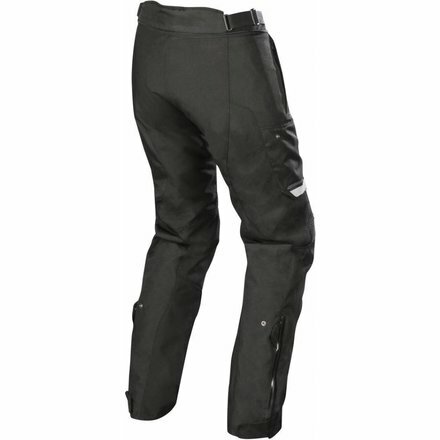 Removable long thermal liner ensures pant versatility and comfort in cold or hot climates. Pre-contoured leg construction with accordion stretch panels around crotch and back of knees for improved riding performance. Impact protection provided with CE-certified knee protectors, which are removable. Reinforced dobby fabric in critical knee areas for added abrasion resistance. Integrated reflective graphic details and logos improve rider visibility in varying light conditions. Dual waist adjustment buckles for highly customizable fit. Zippered Jet Ventilation System (JVS) air in-takes to control internal temperature. Zippered, deep hand pockets, plus large zip front-thigh pockets. Adjustable, removable braces improve comfort fit. Zippered and hook and loop grip leg cuff closure includes snap button closure to fit around a range of Alpinestars boot models. Optimized for use with the Bogota DRYSTAR® Jacket and other Alpinestars jackets with internal waist connection zipper.